You may well have seen them touring recently, or are gearing up to spending a bit of time with the band in the new year, but if you’re a fan of Jimmy Eat World then you just need to know one thing – there’s a new song pack available on Rocksmith and it focuses in on the band. Available right now for purchase on Xbox One, Xbox 360, PS3 or PS4 is the Jimmy Eat World Song Pack for Rocksmith 2014 Edition and Rocksmith Remastered. Priced up at a rather cool £6.39, the Jimmy Eat World Song Pack brings in three of the band’s finest ever tunes, with the likes of The Middle and Bleed American headlining the show. With each individual tune also available for purchase separately for £2.39 each, there really is no reason to not be adding a few new riffs to your Rocksmith library this week. But what is included? Well, how do the following crackers sound to you? No matter whether you are still learning to play the guitar with Rocksmith 2014 Edition, or have completely mastered the way of the axe with Rocksmith Remastered then the Jimmy Eat World has been sent forward to test your skills once more. 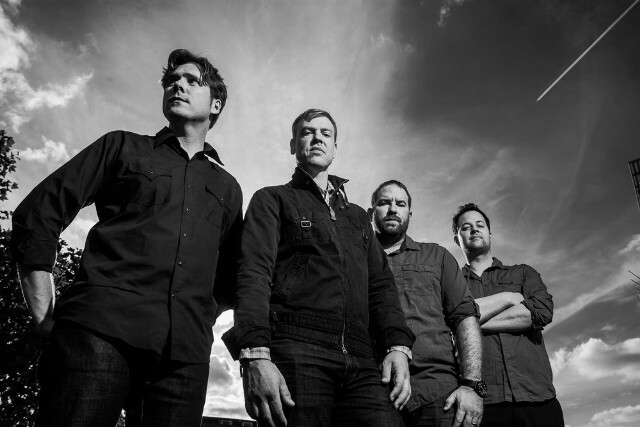 With Rocksmith promising to be the fastest way to learn guitar, and Jimmy Eat World having delivered a ton of rather top notch tunes, this latest song pack really is something you should be dropping into your bag right away. Just head on over to your favoured digital store in order to see it added – for us Xbox guitarists that means paying a visit to the Xbox Store, whilst those over in PlayStation land will have their own store able to deliver the goods. If you wish to know more about Rocksmith then our full review of the guitar tutor can be found right here. It’s well worth a read if you’re considering taking up a bit of strumming. And similarly, if you’re just looking for some new tunes, then the constant flow of additions to the Rocksmith library can be perused right here. There are a ton of different options ready to grab your money.